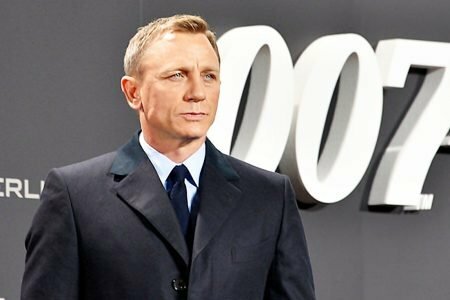 Why has the Bond brand endured? It’s not that hard to explain. The films keep coming because we want them to. And thanks in large part to the finest Producer in the business, Ms Barbara Broccoli. 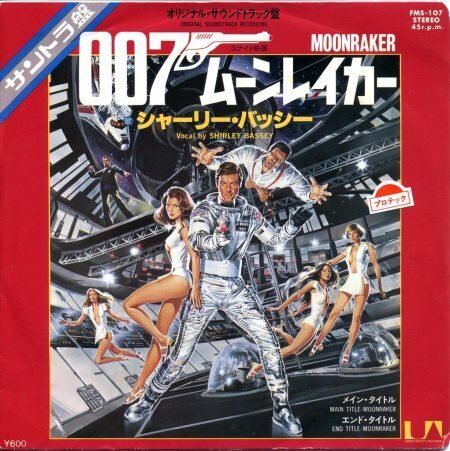 But some Bond films are better than others and the series’ success in each era is propelled by one flagship entry. 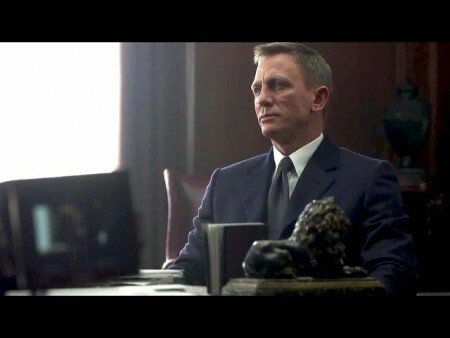 Examples: GOLDFINGER; THE SPY WHO LOVED ME; GOLDENEYE and of course, SKYFALL. 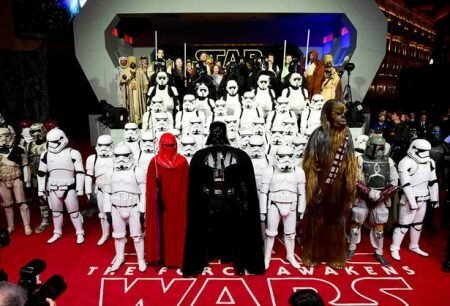 They are of their time but ahead of it, whilst trading on a timelessly nostalgic charm that conquered both the box office and the harshest of critics, against the odds. 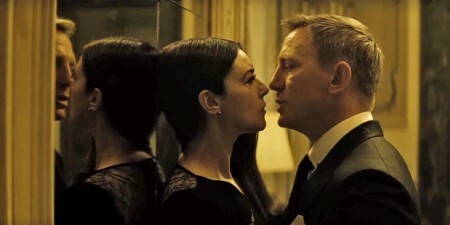 SKYFALL became the biggest Bond of all. Watching that film is a feel-good experience, like reliving 2012, all over again: Olympics, Jubilee et al. 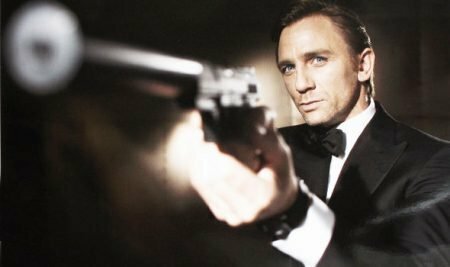 And somehow, despite its dark atmosphere and not being a typical ‘Bond film’, both story and plot were simplicity itself, thereby enabling a clarity of definition about who the hero is and what the series means today. 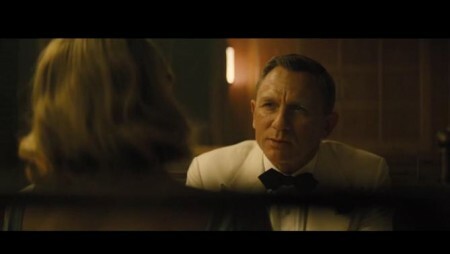 SPECTRE is at once superior and inferior to SKYFALL. It is the best of Bonds and the worst of Bonds (to borrow from Dickens’ A Tale of Two Cities). Allow me to explain that complex contradiction. Let’s start with the ‘bad’ so we can end on an ‘All Time High’. I referenced A Tale of Two Cities very deliberately. Christopher Nolan’s Dark Knight Rises (2012: that year again) quoted that text in its closing scenes. SPECTRE attempts treading similar ground to that Dark Knight saga’s closing chapter, and thereby stumbles in consequence on occasion. Batman and Bond do share some facets: grit combined with gadgetry and a sheen of glamour. It’s also logical to learn lessons from a rival series that nonetheless employs common personnel. Chris Corbould, the amazing special effects wizard is a veteran of both Bond and the Dark Knight series. But Bond is NOT Batman! Yes, 007 had a childhood trauma. But he had a stiff upper lip and became a Commander in the Royal Navy, before the distinguished life of service in Her Majesty’s Secret Service (Mi6). That is both beginning and the end to Bond’s ‘story’. And it’s what makes him a compelling hero as much as the style /seductions/ secrecy. You might ‘get’ that. 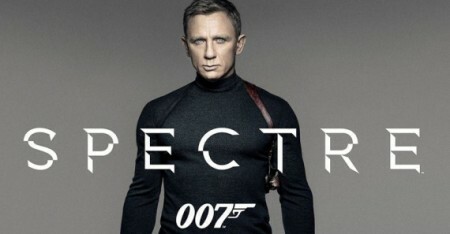 Sadly, the writers of SPECTRE don’t seem to ‘get’ James Bond or the manner of motif and plot to which he is best suited. The villains in the film have a grand plan that has something to do with surveillance. It’s a shame, because some of the other schemes they discuss in passing at a secret meeting are far more interesting as potential premises for a film, be it Bond or otherwise! And the fact of the matter is that Bond would fit in perfectly well to a Big Brother state, though of course he would not support or propose such a thing. Political debate is both an irrelevance and anathema to him and the ethos of his adventures. So it’s a case of: Right idea, wrong franchise. Go to Batman for brooding on your place in the war on crime and terror and Jason Bourne for debates on the post Snowden era of ethics in defence policy. Things get worse too, c/o THE silliest twist in the series’ history. It makes invisible cars and space lasers look realistic. THAT’S how bad it is. Infantile. Gratuitous. And typical of John Logan, who insists on imposing these melodramatic, pseudo-erudite, quasi-classical yet ultimately soap operatic motifs on big ‘franchise’ movies (see also: Star Trek: Nemesis..actually, DON’T .. it is quite awful). Logan is great at historical drama (Gladiator). But he’s wrong for Bond. The dialogue and basic structure are all fine (Neil Purvis, Robert Wade and Jez Butterworth collaborated well with Logan, it seems). But one can tell that this was a script with multiple rewrites and might have been slave to some studio politics, beyond the film makers’ control. Tone is consequently uneven. DON’T let that happen again! Hire plot-smiths that love Bond and will script accordingly. I am available at a very competitive rate. But enough bad news. Now to the REALLY great stuff. Bond films always look good. SPECTRE is in a new league of excellence. Production design, photography, lighting, sound, editing: all PERFECT. It is worth the admission price alone to just LOOK at and LISTEN to this film. A true joy to behold and a feast for the senses. The unfairly maligned music is a real treat: up on screen rather than contained on I-Pods or Spotify playlists, so it now matches the visual schemes being referenced in the tunes and lyrics. Subtle for the most part yet bombastic and romantic where needed. Well done, Thomas Newman and Sam Smith. The action choreography is sublime: impeccably timed and judged, with just the right balance of brutal grit and escapist adventure. The car chase is mesmeric. London has rarely been captured so atmospherically on film. THAT opening scene in Mexico is a work of genius, followed by an engaging credit sequence. You will laugh, cry and cling to the edge of your seat at various times throughout. 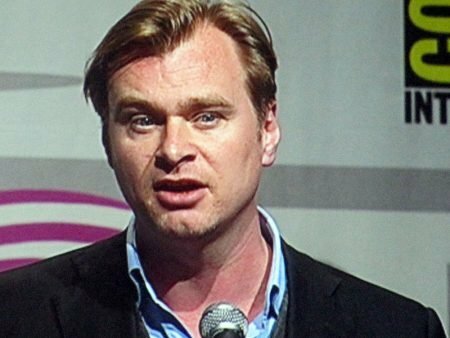 It all speaks volumes about the innate and infinite talent of Sam Mendes as Director. He truly belongs in the pantheon of greats alongside his old mentor, Steven Spielberg. Every actor brings something new and interesting here, too. 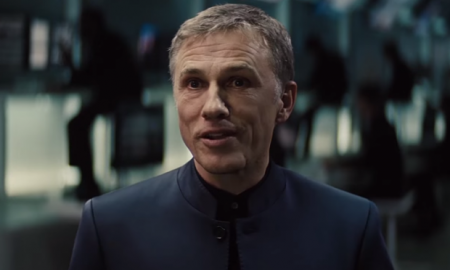 Christoph Waltz is a little underused, but that suits the method of his character here; preferring to pull strings in the shadows than speak on centre stage. One gets the feeling that Daniel Craig’s Bond would perhaps be better pitted against Robert Davi’s Franz Sanchez (from Licence to Kill in the Timothy Dalton era) than trading one liners with Christoph Waltz’s Franz Oberhauser. But it’s great to see Waltz take on a Bond villain role at last. He is clearly having fun and surprisingly avoids simply repeating his Inglorious Basterds routine. 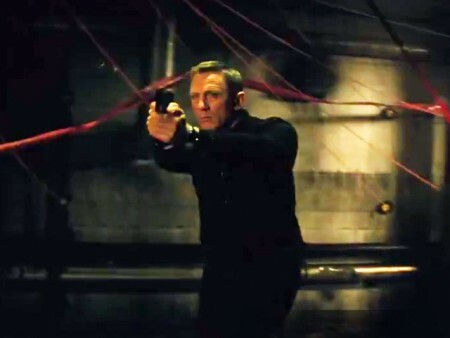 Daniel Craig himself gets better and better as Bond. Casual menace, confidence, humour, style and gentlemanly presence fused to the brutal bruiser’s skill set: all here. He IS James Bond. Irreplaceable. The women are wonderful: Funny, feminine and yet strong and serious. Monica Bellucci is hypnotic; Lea Seydoux adorable. Memo to Bond film-makers: PLEASE do NOT kill off Lea’s character or have her turn evil in a sequel. She could always just leave Bond for another man (I am available). And we FINALLY get a henchman in the Oddjob /Jaws tradition, with Dave Bautista’s Mr. Hinx. It’s a top flight cast. So where next for our beloved Bond series? Temptation is probably to reboot / return to the 1960s set pieces, especially in the light of new competition from the likes of KINGSMAN and distribution rights moving from Sony (probably to Warners or Paramount). 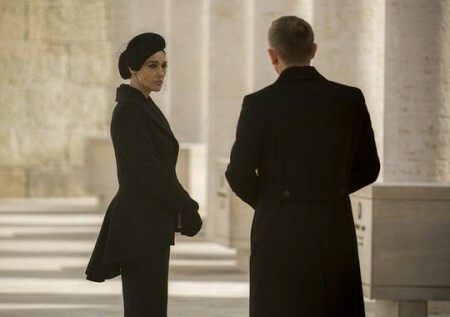 SPECTRE certainly FEELS like a wave farewell to the Craig era. Equally though, things are left open for at least one more outing from the same team. The viewing experience with SPECTRE is so entertaining on the whole that you WANT more of the same and soon. Story /plot problems aside (and those are major), this is pretty much perfect action –adventure film-making. The first half alone is worth the price of admission and invites multiple viewings. 007/10. Whilst lacking the substance of CASINO ROYALE or the soul of SKYFALL, SPECTRE is nonetheless an interesting fusion of those preceding films. You will be entertained and enthralled and left with plenty to discuss as credits roll and you glimpse that comforting promise that JAMES BOND WILL RETURN. RECOMMENDED. With minor Reservation. Go see it. And have FUN! England Expects no less.